Before I relocated to the Northern Territory three years ago, I used to have a fortnightly meet up with friends at Norwood's Billy Baxter's cafe. My memories of the great quality fresh food is something that resonated with me long after leaving Adelaide and so when I returned, I contacted my sister and decided to meet up and try them out again. I must admit, I had held this cafe on a bit of a pedestal and was not disappointed. I ordered an old favourite, the 'Ranch Salad' (which has now had it's name changed to the 'Station Salad') When it was served up to me, the presentation was lovely and while admittedly the portion size was a bit smaller than I recall, the taste was still as amazing as ever! To be perfectly honest, I am not usually a person that orders salad at a cafe or a restaurant, but they would have to make the most memorable salads I have ever tasted. The 'Station Salad' consists of lettuce, crumbed chicken, bacon and potato wedges - all cooked to perfection with a creamy ranch dressing. My sister ordered the lasagne and salad and polished that off quite happily too. 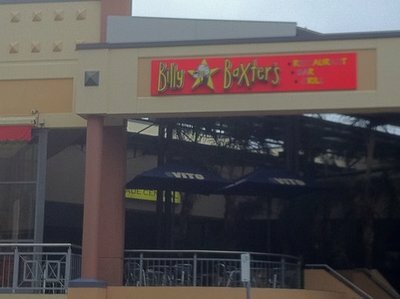 She said that she regularly visits the Billy Baxter's in West Lakes, which again has such good quality consistency. My belief is that if they can keep up the quality consistency for three years, it's not going to change any time soon. 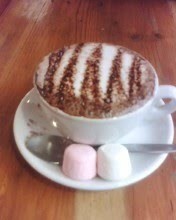 The customer service was friendly and they also make a fantastic cappuccino, even for a fussy coffee drinker like me. If you are in the area, please check out Billy Baxter's Norwood and try something from their tasty menu. 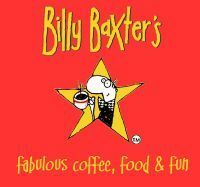 Billy Baxter's are located on The Parade at Norwood, next to the cinema complex. Why? My memories of the great quality fresh food is something that resonated with me long after leaving Adelaide. I recently went to Norwood Billy Baxters and I agree; they are very friendly there and the food is excellent! I think that the previous owners were Greek or Italian, but now Koreans have bought BB.